After landing her dream job in Paris, Joan Juliet Buck, the new editor of French Vogue, is haunted in her dream apartment. 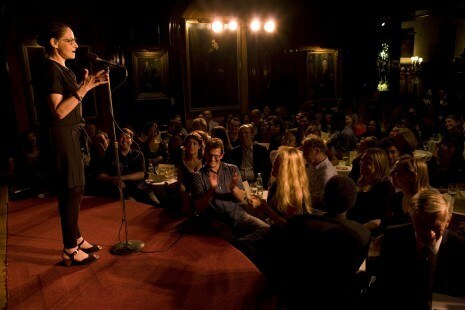 Joan telling her story at The Moth. Photo by Denise Ofelia Mangen.